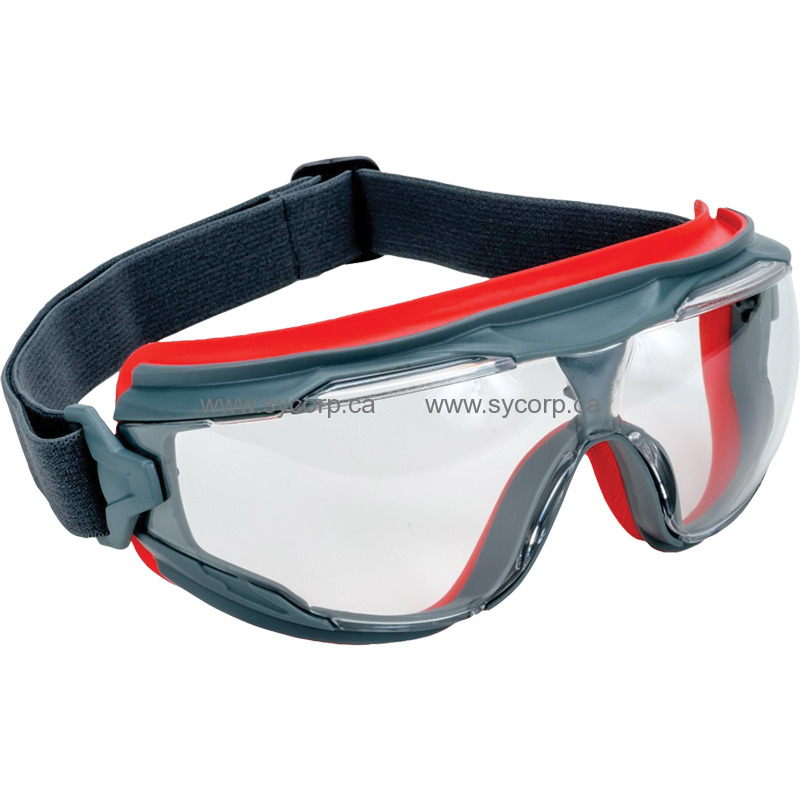 The 3M Goggle Gear, 500-Series is a low-profile design with an adjustable strap and indirect ventilation. These splash goggles with 3M Scotchgard Anti-Fog Coating help keep lenses clear in, steamy and wet environments. The Science Behind 3M Scotchgard Anti-Fog Technology 3M Scotchgard Anti-Fog Technology brings higher anti-fog performance to safety eyewear, helping workers see more clearly to complete on-the-job tasks. The anti-fogging properties are based on 3M internal testing per EN168 test method when compared to traditional anti-fog coatings. Here is how the anti-fogging properties work. When microscopic water droplets land on lenses without any type of coating, they bead up and form condensation and fog, obscuring your vision. With 3M Scotchgard Anti-Fog Technology, the anti-fog coating produces a reduced-contact angle, flattening the water beads into a thin, transparent film of water that allows light to pass through. The 3M Scotchgard Anti-Fog Coating resists fogging longer than traditional anti-fog coatings, even after washing multiple times. Protective Eyewear Made for the Rigors of the Job 3M Scotchgard Anti-Fog Coating with its active ingredient is bonded to the lens which helps the eyewear last longer. The coating retains its effectiveness for at least 25 washings with water. The coating withstands disinfection with diluted bleach soaking or alcohol wipes without losing its anti-fog performance. The eyewear meets the requirements of ANSI Z87.1 and CSA Z94.3. Eyewear also comes with polycarbonate lenses that absorb 99.9% of UV rays.